AI is a buzzword today. It is in an early stage of its evolution, but it is already impacting millions of people in the world. A study conducted by Adobe reveals that the number of enterprises using AI will jump from 15 to 31% within the next 12 months. The tech giants are already investing a considerable amount on AI! Amazon has Alexa; Microsoft has Cortana; Apple has Siri, and Google has its own AI assistant. AI and its associated technologies such as deep learning, machine learning, IoT, etc., are transforming the digital assets and operations. AI has entirely changed the operations for healthcare, avionics, retail, FinTech, etc. The advanced concepts of the booming technologies are used to develop smart computing models driving innovation. 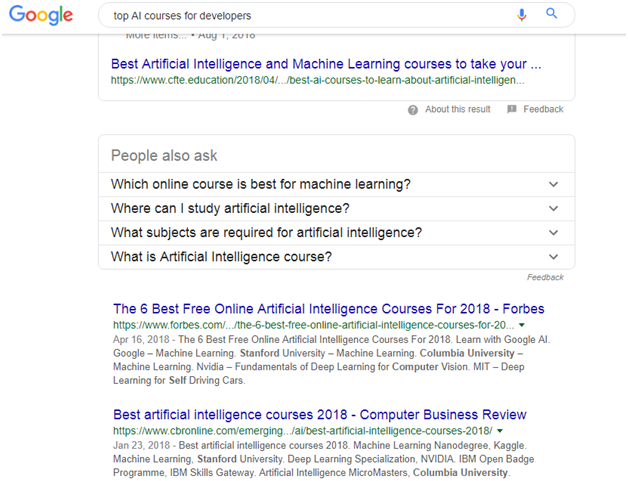 One can go through an Artificial Intelligence Course, blogs, FAQs, videos and thousands of other resources available over the internet that can help to expand the knowledge bracket of an individual, giving clear insights about the digital progressions. 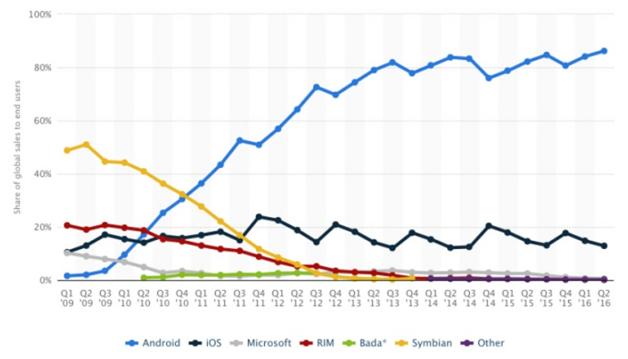 According to Statistica, Android tops the global OS mobile market share by a considerable margin. They have surpassed over 85% of the worldwide market share, followed by iOS, Microsoft, and others. It means that Android app developers are likely to face massive pressure from the enterprises and the android users to develop smarter android apps. Without further ado, let’s look at how AI is transforming mobile apps. The mobile users do not care about features; they care about the benefits that mobile apps have in offer for them. The best way to enhance mobile user experience is by customizing the apps based on their behavior and response patterns. The mobile apps can extract tons of user information when we integrate AI with mobile apps. That’s not it. The AI-infused app also dissects the behavioral pattern from the collected data, which will assist you in enhancing your apps. Moreover, AI can also find and communicate location information with you to further assist you in improving the apps. The audience even enjoys the ads when they are catered, according to their interest. Due to this reason, Google is using AI to enhance their ad campaigns. One great example of an enhanced user experience due to AI is an AI bot. AI bots can solve users’ problems right when they experience it. Adding a chatbot is a necessity now to improve customer service experience. There is also an indication that AI will drive around 95% of the total customer interactions within 2025. There are over 12 million developers in the world today, and over 50% of them focus on developing apps for android first. Over 6,000 new android apps are released every single day, and most of them make little to no impact on Android users. Do you know why? Most of the apps fail not because of their lack of quality, but because of their inability to engage users. AI is needed to monitor the market trends and choices and to feed the new updates to the algorithm. AI makes it possible to send timely updates in apps to users, making them interested in apps for a more extended period. There is one massive misconception in the world today when it comes to AI. Most of the people freak out due to an evolution of AI. They think that the growth of AI will completely replace the needs of human beings. The study suggests that AI and automation will cut 38% of the total jobs in the US. On the one hand, it is true that AI is replacing human jobs, but it is not true that AI will completely replace the need for human beings. The study found that the number of startups has increased by over 14 times since 2000 due to AI. What this means is that AI will not replace the need for human beings instead it will change the nature of jobs in the future. AI will help in eliminating tedious human tasks and will automate the repeated processes. It will enable human beings to make better decisions. For example, An app called rideshare suggests the shortest route to the destination by making use of the collected data. It won’t drive a car for you. experience along with suggestions that are based on historical behavioral patterns and other related factors..
Amazon Go is one of the best examples of an intelligent, personalized app. 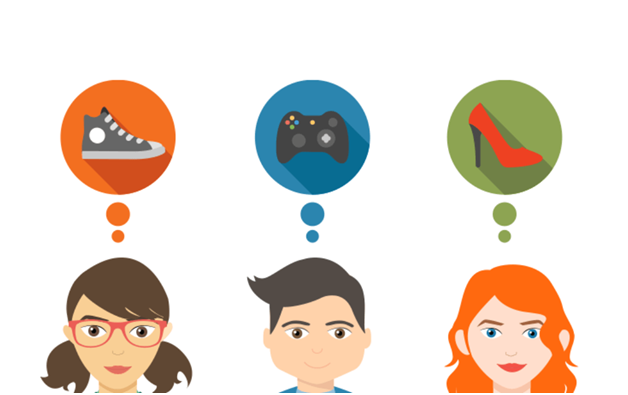 This app suggests user on what to do next by analyzing the past behaviors. As a programmer, you do not have to make changes all the time. The app will observe and automatically learn based on the data that it collects. As an app developer, you will no longer need to make every single change. The app will make the minor changes for you just like in the case of Amazon Go. Thanks to AI, programmers can now focus on spending more time learning new stuff, allowing them to come up with more creative ways to code. It will speed up development time by eliminating many tedious and time-consuming practices. Today, some apps can communicate ideas. Most of these apps are customer service apps where they produce texts from obtained information. AI-enabled apps can give you suggestions and opinions based on what they know. The businesses that use mobile apps powered by AI can quickly tap into new products and markets. These apps can provide insights to companies and give suggestions on what to do next based on the collected information. eBay is currently using the AI-powered mobile app to present its users with one-of-a-kind homepage based on their past behaviors. The majority of businesses now understand the importance of artificial intelligence. The study found that over 70% of the companies consider AI as an advantage now. Thankfully learning is extremely easy in today’s world. All you need to do is research, review, and learn to add an AI component to your mobile apps. I hope you’ve found value in this article. AI: ARTIFICIAL INTELLIGENCE OR ALTERNATIVE INTELLIGENCE?